Essentially parallel to each other, the Yountville and Stags Leap District appellations in Napa Valley are both moderate regions cooled down by afternoon marine winds. However, Yountville is influenced more by morning fog, and the bare rocks of Stags Leap reflect heat and sunshine, so the Stags Leap AVA can be up to 10 degrees warmer than the Yountville AVA. 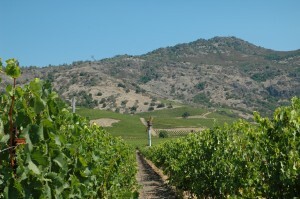 Both areas are primarily known for their Merlots and Cabernet Sauvignons. Stags Leap District Winegrowers – A non-profit association of local wineries and grower members whose mission is to enhance the reputation of the Stags Leap District appellation and its wines, and share its quality with the wine-loving world.